Time to use your vacation leaves! (SPOT.ph) Admit it, you’ve been secretly searching for piso fares even when your boss is around. No one can blame you for dreaming of a getaway since you’ve been stuck in your cubicle for what feels like forever. Luckily for you, you’re born at the time when booking for flights is just a matter of a few clicks. Here are some tips for snagging the best flight deals while hiding behind your monitor. Hover on the minimize button, just in case. It pays to be flexible. Sticking to a specific date may restrict you from searching for other schedules with cheaper fares. Booking on peak months like December or on holidays are the most expensive, with prices going up to as much as 20%. If you plan to travel during these months, it’s better to book in advance. 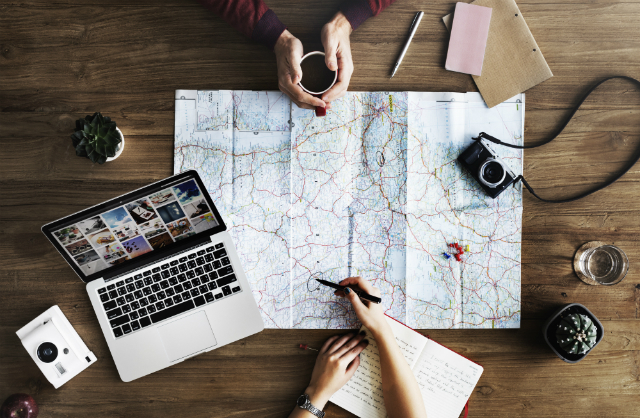 Searching, buying and travelling at the right time can save you some serious bucks. Hunt for the best deals after midnight. It’s during this time that airlines reload their systems with fares that were reserved but weren’t paid for. Rumor has it that booking on a Tuesday can save you money, but this isn’t always the case. Your best bet is to fly on a weekday as most people go for trips on Friday or Sunday, making those days more expensive for flights. Not everyone is willing to travel in the wee hours of the morning. But if you are, taking on red-eye flights can help you save on your travel budget. In our hunt for the cheapest flights, we tend to ignore other costs like having to stay in an airport hotel while waiting for an early flight, higher baggage fees, gas and toll in airport transfers. You may have saved a few hundred pesos on airfare, but you’ll have to pay extra for other expenses, else your convenience might be sacrificed. Summer is just around the corner, and you’re not the only one on the hunt for promo fares. Instead of having to attend travel fairs, BPI just made it super easy for you! 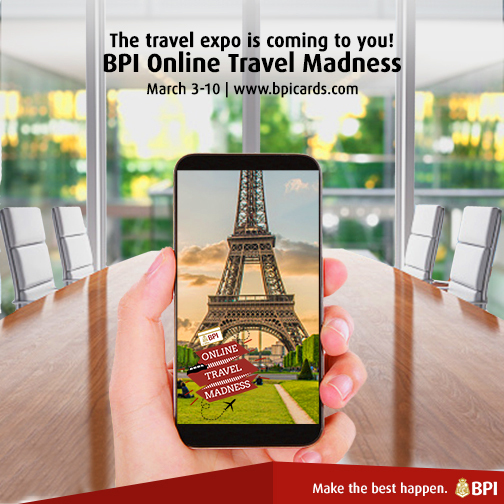 Check out BPI Online Travel Madness happening from March 3-10, 2017—an exclusively online travel fair that will feature various airlines and travel agencies offering great travel deals. With BPI Online Travel Madness, be the first to book travel deals with the best airlines: Air Asia, Cathay Pacific, EVA Airways, Singapore Airlines, and Qatar Airways. Find hotels and resorts within your budget through Agoda, Asiatravel.com, Anantara Hotels, Resorts and Spas, Avani Hotels & Resorts, and PER AQUUM Hotels & Resorts. Want to get to tourist spots hassle-free? Rajah Travel Corporation and Ark Travel Express can help you with that! But if you’re in the mood for a more relaxed travel experience, a cruise with Star Cruises may be just what you’re looking for. The best part? You can get all these great deals online, all in one place. Use your BPI Card for a hassle-free booking experience at the BPI Online Travel Madness! Better file for that vacation leave now. This article was created by Summit Storylabs in partnership with BPI Cards.